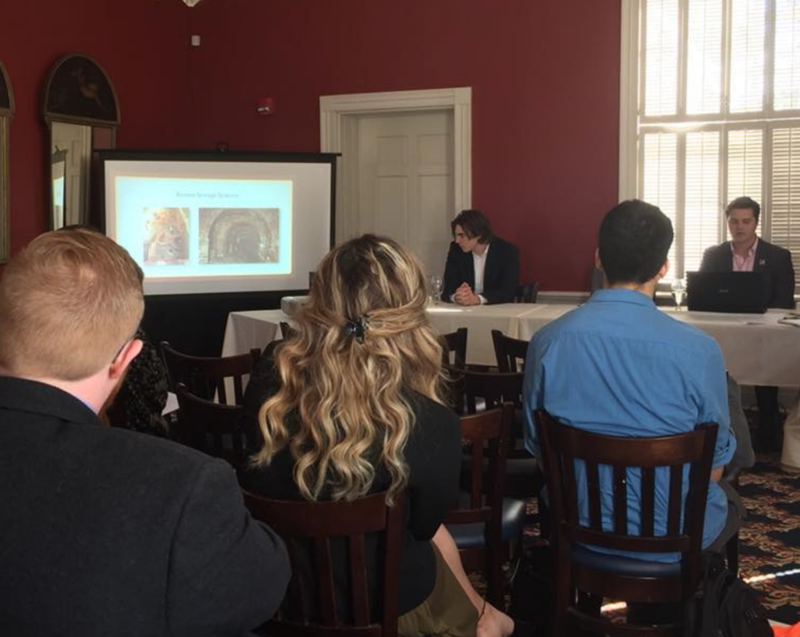 Beginning in the Fall of 2016, the Department of Religious Studies offered an honors emphasis for students to consider, which grants them the opportunity for further engagement and culminates in the writing of an honors thesis. Who Can Enroll in the REL Honors? Any student who is majoring or double-majoring in religious studies can apply for REL Honors. There is a required minimum 3.0 cumulative GPA and 3.5 GPA within the REL major. Applications to the honors emphasis are made through the Undergraduate Advisor, Dr. Mike Altman (see the form, below), typically during the fall of the student’s junior year. Once accepted, the student will choose a faculty thesis advisor based on availability and research interest. However, before applying please consult with the REL faculty member with whom you hope to work, so that you are able to tell Prof. Altman that a faculty member approves of your plan. What Does REL Honors Involve? The emphasis requires two courses. The first is any regular 400-level seminar that the student designates as his or her honors seminar, typically taken in the spring of junior year. Ideally, the honors seminar explores topics related to the student’s research interests; depending on faculty availability, this honors seminar can also be an Independent Study with the student’s eventual thesis supervisor, though the honors seminar does not have to be taught by the student’s thesis advisor. The second course, usually enrolled in the following semester, is REL 400: Honors Research, in which the student works with an advisor to produce a 25-35 page publishable academic essay. Each student will then defend his or her thesis before a faculty committee. REL 400 would typically be completed in the Spring of a student’s senior year — thus the presentation of the thesis can also be part of the annual spring REL Research Symposium. If you are interested in REL Honors, then talk to any REL faculty member for more information and apply to the track through the undergraduate advisor, Dr. Mike Altman. View the Honors Option flyer (PDF). Apply for REL Honors (PDF).